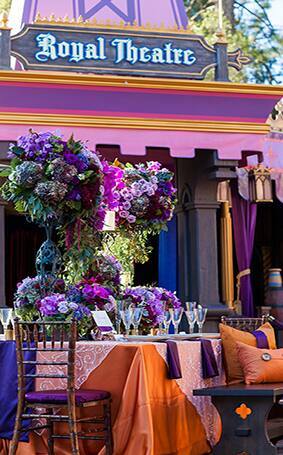 At your wedding, you are truly the star of the show. 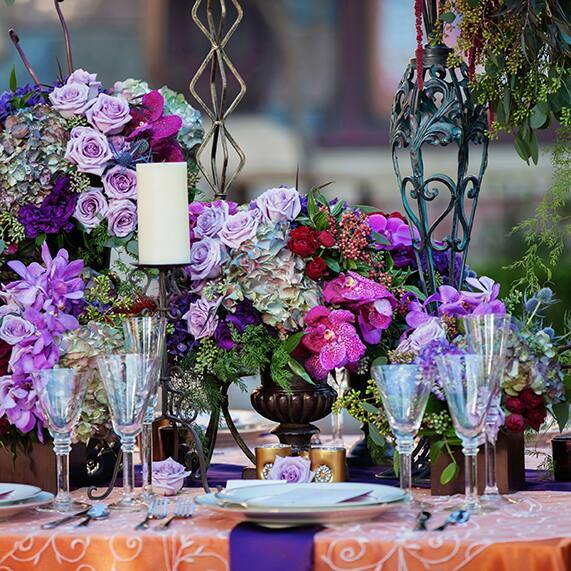 You are the opening and closing acts and every detail is yours to choose. 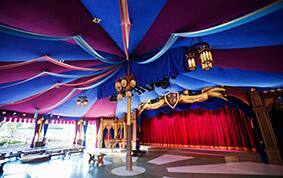 Sure, the stage (your venue) may already be built, but consider that an opportunity rather than an obstacle. 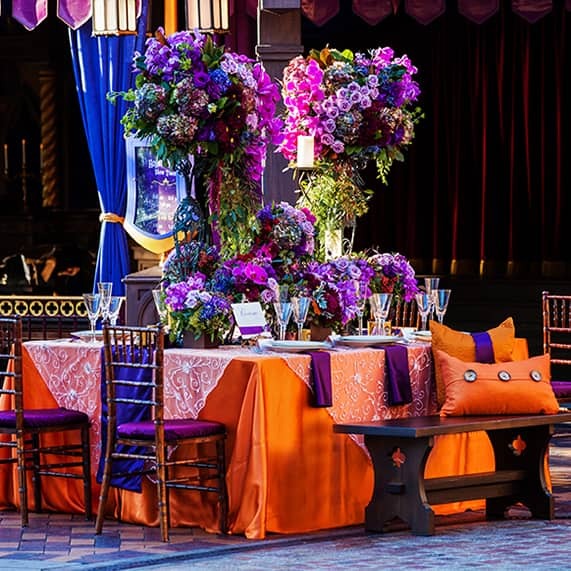 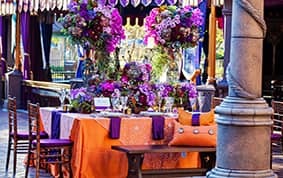 We recently experimented using décor that matched the purple and orange theme of Disneyland's Fantasy Faire Theatre - and the effect was absolutely mesmerizing. 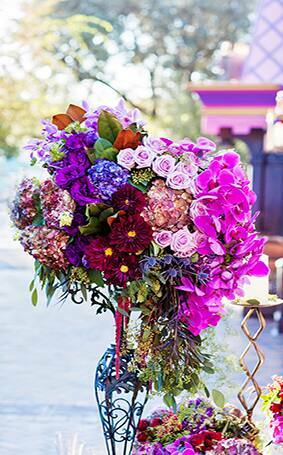 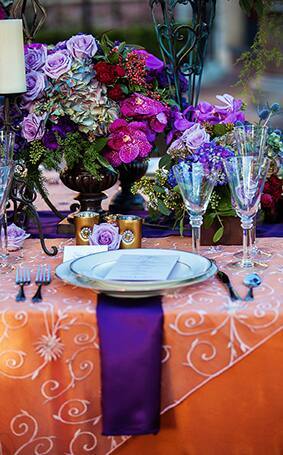 To achieve this look, the tables were lavishly adorned with an array of purple floral. 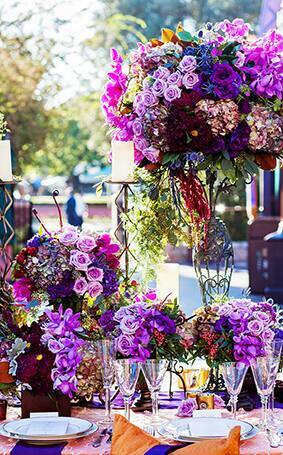 Everything from maroon water lilies to lavender roses were mixed together to create the ensemble. 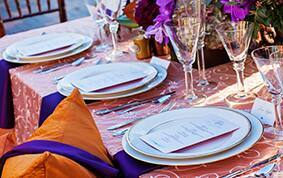 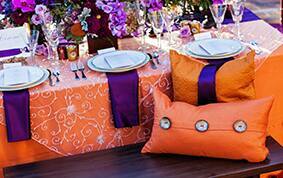 The orange tablecloth perfectly complimented the arrangements and added a touch of bold creativity. 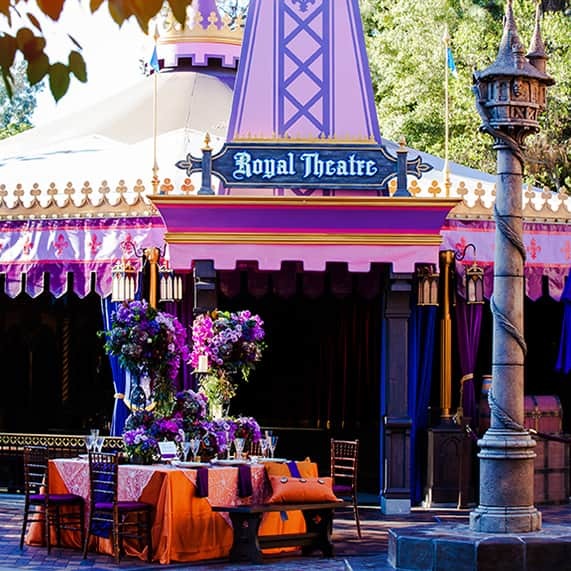 Of course the matching theatre made for the picture-perfect backdrop and really looked like it was designed especially for the event.